Please plan to join us at Grand River Cellars for a morning of bliss. 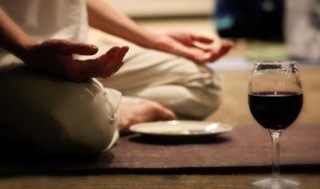 The cost of each yoga class is $15 and includes a glass of wine following the class. This is a basic level of yoga, you will need to provide your own mat. The yoga class will last for one hour and the mingling can last for as long as you’d like. This experience is a wonderful way to relax yourself right into a perfect Sunday afternoon. We always have a good time and it’s a great opportunity for you to form new friendships and spend time with like-minded folks.